1. 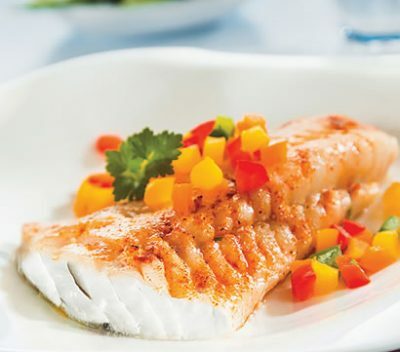 Preheat the oven to 180º and place the Fish into a baking dish coated with cooking spray. 2. Add the Lime juice, Mayonnaise, Onion powder & Pepper into a small bowl and mix. Once mixed, thoroughly rub over Fish. 3. Bake for 10 minutes and cover with kitchen foil then cook for a further 10. Ensure the Fish easily flakes before removing from the Oven. 4. Serve with a helping of Vegetables & enjoy.